Available through Thunderbike are these high quality saddlebag kits from Cs & V. Each kit comes complete with saddlebags and lockable quick release brackets for easy mounting and removal of the panniers from your Rocket. 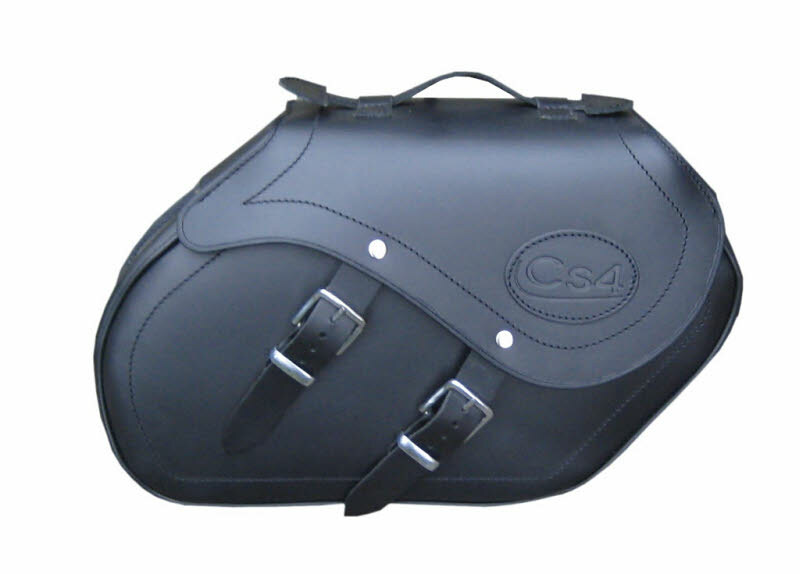 Each Saddlebag features pvc reinforced flaps, sides, front and bottom and all the corners are reinforced too so no disfigured bags in a few months time! The backs of all the bags are rigid HDPE laminate which allows for the mounting of the quick release bracket system. 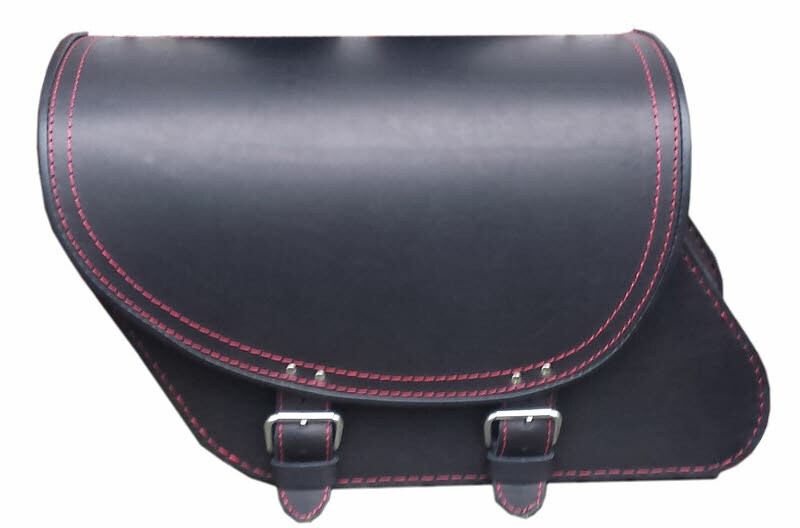 The Flaps are held closed with traditional rust free buckles and a hidden quick release buckle underneath. The tops of the bags also feature a discreet sliding handle for easy carrying. 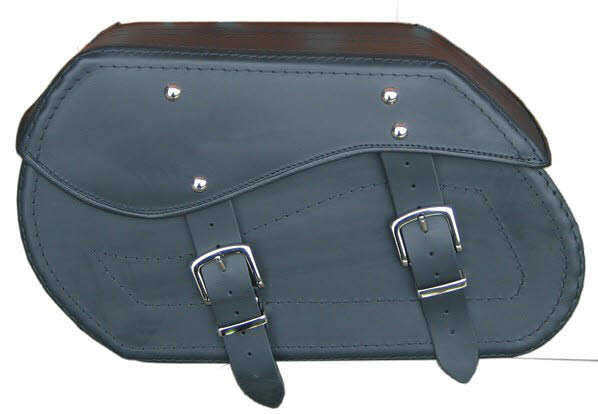 These panniers are available in split leather or full grain leather. What is the difference? The "split" is the underside of the hide. 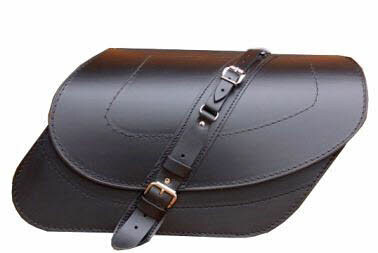 Most saddlebags on the market are made of this leather and it is a good material. However this leather is not quite as strong as grain leather and it is more difficult to make it water proof or water resistant. Full grain leather - The strongest and most durable part of the hide of an animal is just below the hair. The grain pattern in this part of the hide is very tight, and the leather made from here is called full-grain leather. Full-grain leather is the strongest and most durable leather. The sets come in split leather as standard (unless stated otherwise). If you would like to upgrade to full grain leather you can select the full grain leather option in the form below. Whichever you choose, to keep it's condition leather must be cared for, cleaned and conditioned! Alutech Construction - for an even more rigid bag. Note: Prices for the customisation options are at the bottom of form below. If your bike has a Triumph quick release or hard mount sissy bar fitted you will also need the additional hardware kit listed below. Each kit comes with a set of lockable quick release mounting brackets which mount on the back of the saddlebag and mounting bobbins which attach at the fender mounts on each side of the bike. The pannier can then simply be clicked onto the bobbins and locked in place. Removal is just as easy. The mounting system is supplied unmounted with the saddlebags so you can mount them in the best position for you and your bike. Mounting is straight forward, requiring drilling 4 holes. 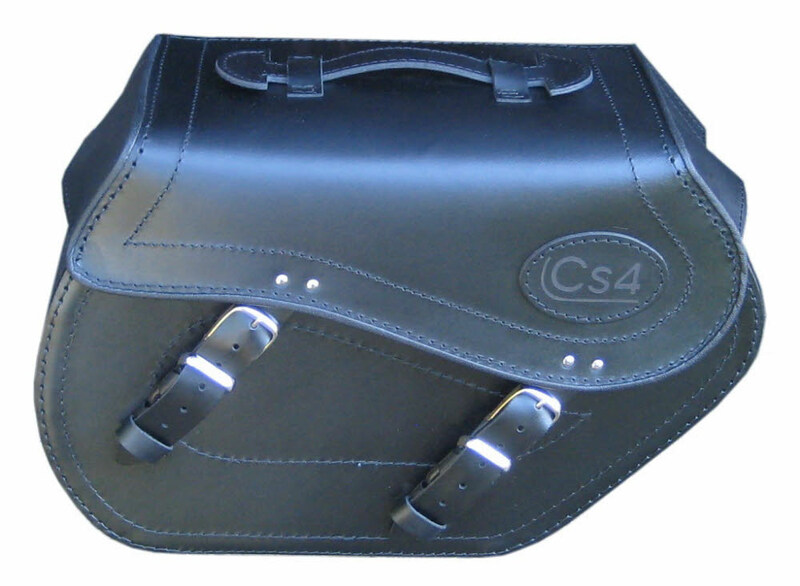 Note: Should you require the saddlebags only without fitting kit contact us for pricing. 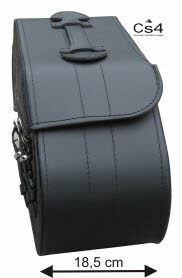 Listed below are the saddlebag sets available to fit the Rocket iii. Please note: They are designed to fit the standard model, if you have made modifications to your bike that may affect the fit eg. fitting piggyback reservoir shocks, please take the time to double check the measurements provided against your particular set up to ensure the bags will still fit before ordering. See the form at the bottom of the page for individual pricing and optional extras. Capacity: 24L ea / 48L set. The only difference between these two bags is the contour of the top flap. P47 has a square profile, C47 has a curved contour when viewed end on. Capacity: 19L ea / 38L set. Material : Split or full grain leather, 2-2.2mm, completely laminated / reinforced with 2mm Polyethylene at the inside. Capacity: 25L ea / 50L set. Material: Split or full grain leather, PE reinforcements inside, HDPE laminate back. Capacity: 23L ea / 46L set. 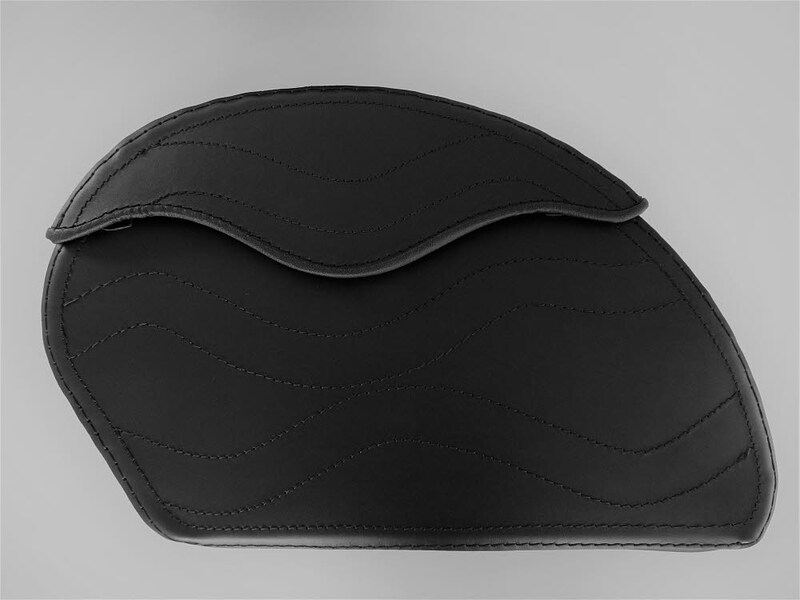 Material: Split or full grain leather, 2-2.2mm PE reinforcements inside, HDPE laminate back. 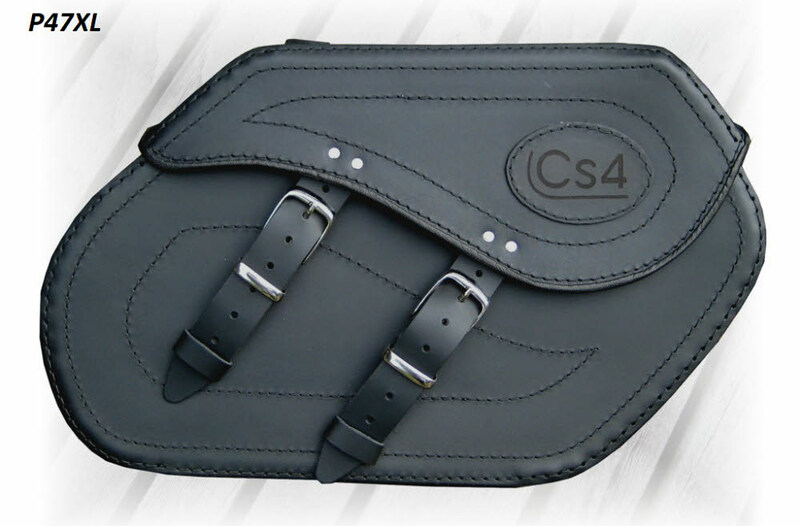 Material : FULL GRAIN COW LEATHER AS STANDARD, completely laminated / reinforced with 2mm Polyethylene at the inside. This makes these bags not only strong, but gives them also an extremely good form stability. Available in black or antique brown. Capacity: 20L ea / 40L set. Please allow 3-4 weeks for delivery from date of order.